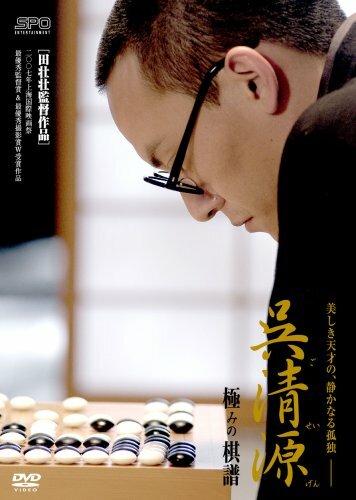 THE GO MASTER, the long-anticipated new film by acclaimed 5th Generation Chinese director Tian Zhuangzhuang (HORSE THIEF, THE BLUE KITE, SPRINGTIME IN A SMALL TOWN), is based on the true-to-life story of the world's most renowned master of the ancient game of Go, Wu Qingyuan. Go, a table game requiring intense stamina, energy, emotions, strategy and intellect from its players, was developed in ancient China but found a new home in post-Meiji Japan, where its adherents treated its rules and regulations in a fashion far stricter and more disciplined than that of its Chinese roots. chung Mar 20 2015 3:30 pm Fell asleep somewhere between 1 and 2 million times when I first attempted to watch this movie. Now I put it on when ever I have trouble falling asleep and it works better and faster than any sleeping pill I have ever tried (plus it's cheaper and healthier than pharmaceuticals). I've told other people about this and I know that they've kept on spreading the word as well, so it really wouldn't surprise me if this movie has improved the sleep of tens of thousands of people by now. That's the reason I'm truly grateful to the creators of this movie.